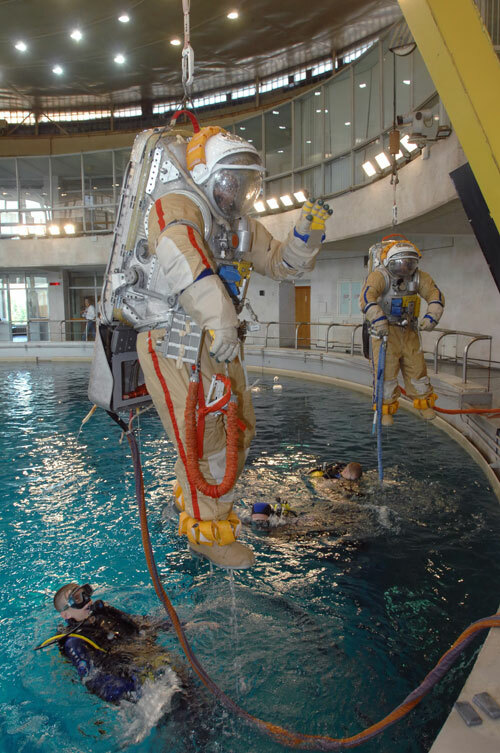 Hydro lab was put into operation at the Cosmonaut Training Center in 1980. This is a complex hydraulic structure, which includes a complex of technological equipment, special systems and devices. simultaneous tracking of cosmonauts activity in outer space. In the center of the building there is a cylindrical basin with a platform equipped with an elevating mechanism. Personnel rooms, technological systems, equipment and means for training cosmonauts are located in the same building. On the lateral surface of the basin there are 45 windows, which can be used for filming and photographing, visual and video monitoring of cosmonauts’ activities in the basin. 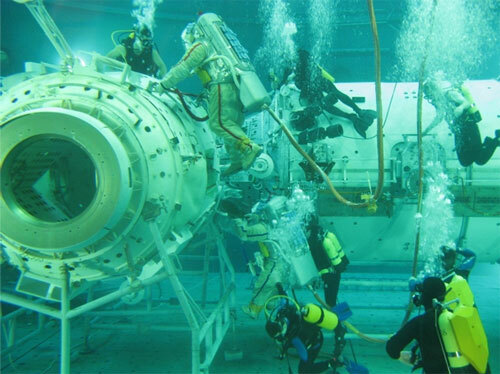 The hydro lab is equipped with a set of experimental installations (full-scale mock-ups of modules) which can be fitted on the mobile platform and lowered into the basin for training. All experimental installations are made in real size with a full simulation of volumes, internal and external contours, structural elements. The experimental installations are immersed into the basin and elevated it with the help of the platform and elevating mechanism. Cranes are used for immersing and lifting cosmonauts outfitted in suits like Orlan, as well as for auxiliary cargo operations.